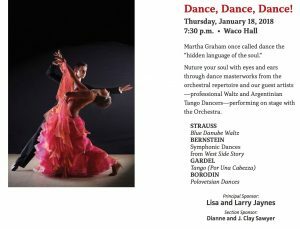 Waco Symphony Orchestra’s “DANCE, DANCE , DANCE” event in Waco, Texas. 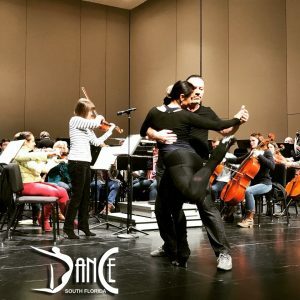 Our entertainers flew in the night before were able to rehearse with the orchestra live at the Waco Hall in Baylor University. 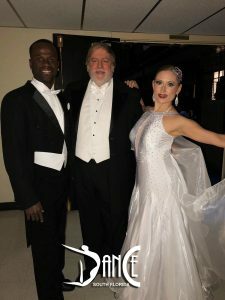 Under the direction of the incredible Music Director / Conductor, Stephen Heyde, our dancers danced and floated in harmony with the orchestra to selected pieces for an unforgettable experience. 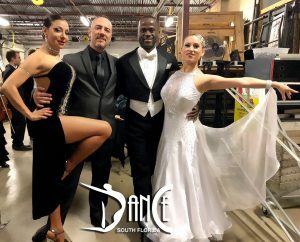 For the modern Tango piece, costumes were specifically designed by our in-house designers to “mirror” each other while keeping within the traditional Tango Cut and style. 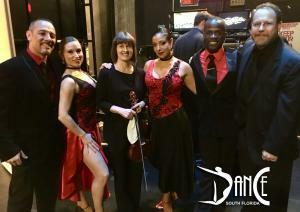 After the performance, Dance South Florida performers “mixed and mingled” with guests and members. 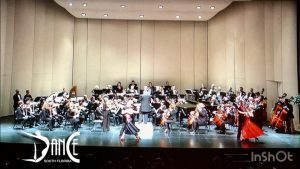 This standing ovation performance was one we will never forget! 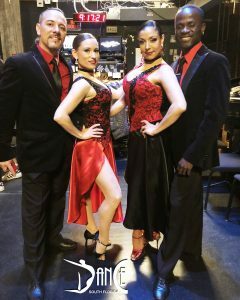 CLICK HEREto see mini clips of our Entertainment in Action.